Prosecutors have said that DNA links the suspect to the killing and that his cellphone contained anti-gay, anti-Semitic and white hate group materials. 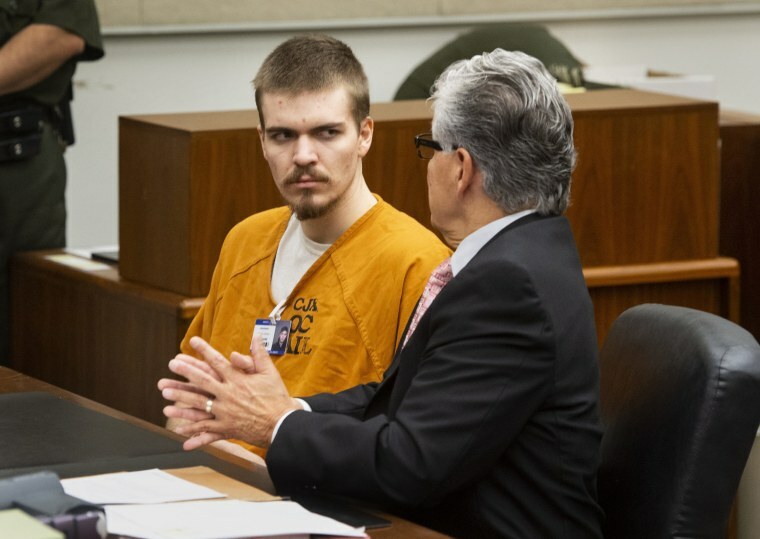 SANTA ANA, Calif. — A Southern California man pleaded not guilty on Friday to the murder of a gay University of Pennsylvania student in a hate crime. Bail was previously set at $5 million but Judge Kimberly Menninger ordered Woodward held without bail at prosecutors' request, saying she believed he would be a danger to the community if he were released. Woodward is charged in the January stabbing death of college sophomore Blaze Bernstein, who was home visiting his family on winter break. Prosecutors have said DNA evidence links Woodward to the crime and his cellphone contained troves of anti-gay, anti-Semitic and white hate group materials. Woodward picked up Bernstein from his parents' home and stabbed him nearly 20 times in the face and neck, authorities have said. If convicted of first-degree murder and the hate crime allegation, Woodward faces a maximum sentence of life in prison without parole.